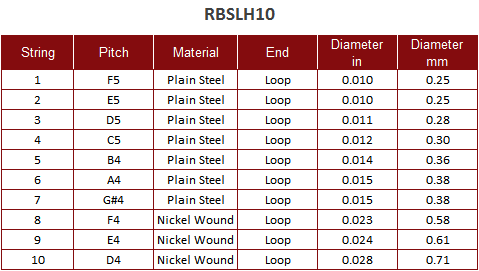 Roosebeck Lyre Harp 10 String Set Loop End RBSLH10. 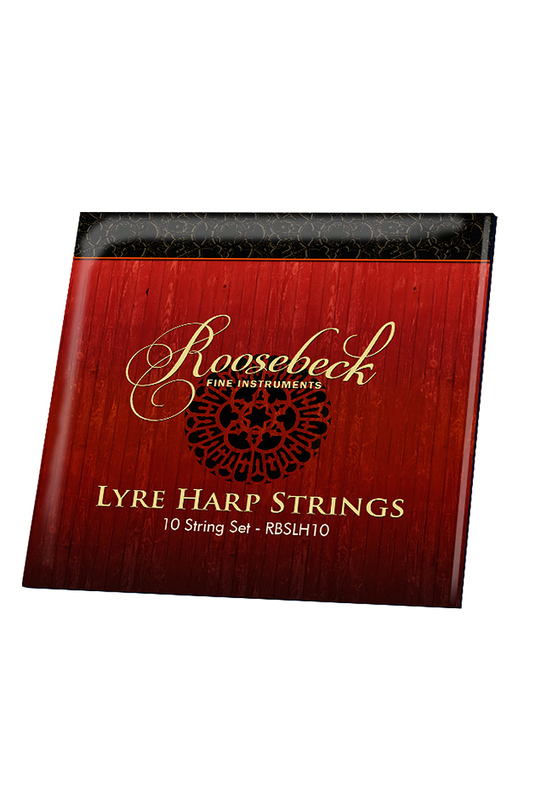 The ten metal strings in the Roosebeck Lyre Harp set provide a very classical sound. The authentic tuning is derived from Judaic worship music, where the instrument was used to accompany the singing of the Chazzan, also known as a Cantor. This style of tuning uses the Chazzanut mode.